Take a close look at your lipstick collection; do you notice anything militaristic? Indeed, you may not appreciate the surprising connection between lipsticks and bullets. A shared history: between the wars, bullet cartridges were refashioned in munitions factories. Above Pipemakers Park, alongside Highpoint Shopping Centre in Melbourne’s west, once stood an expansive munitions factory, which played a key role during the World Wars. “All the 303 bullets for Australian troops in World War I were made in Footscray,” explains Peter Haffenden, of the Living Museum of the West. But in the aftermath of the Great War, a portion of the small arms ammunition factory was converted to manufacture lipstick containers, on machines that only a few years earlier had produced the bullets fired by the Australians at Gallipoli and the western front. The switch was a logical choice for the factory manager eager to maintain a healthy bottom line but also in an endeavour to preserve vital skills. In 1938, one enterprise involved in such ingenuity reported earnings of £29,321 on lipstick containers alone, equivalent to $3.3 million today. Metal lipstick cylinders had been introduced in 1915 with the original push-up tube created by Maurice Levy, an American, similar to the shapes used in lipsticks today. With the introduction of the metal casing, lipstick started being mass produced. The Living Museum of the West found a collection of these small pieces of history among factory rubble and preserved them. There are Australian and international brands: Roger et Gallet, Feminex, Michel, Judith Arden and Bourjois, Tango and Moderniste, many no longer in business. 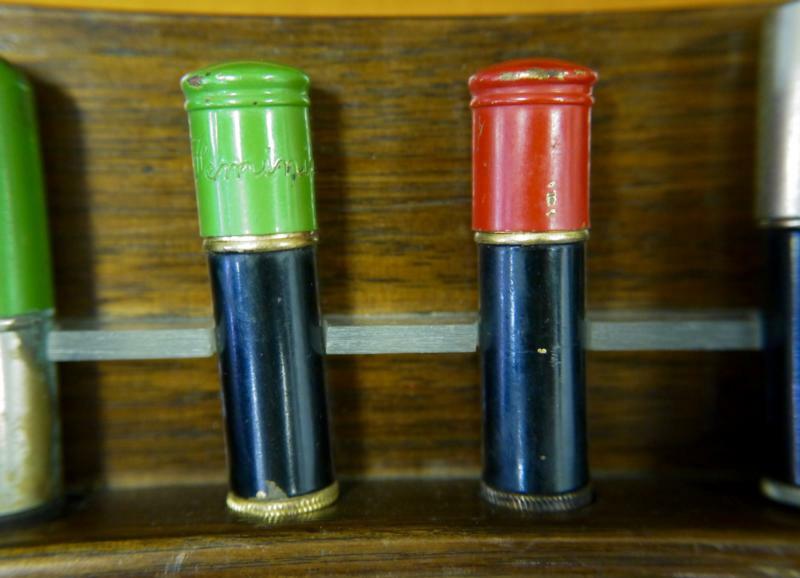 The bullet-like containers are delicate and boldly-coloured, with red, green and black being the palette of preference. You can just imagine a well-to-do Melburnian patriotically painting her lips for a night on the town. 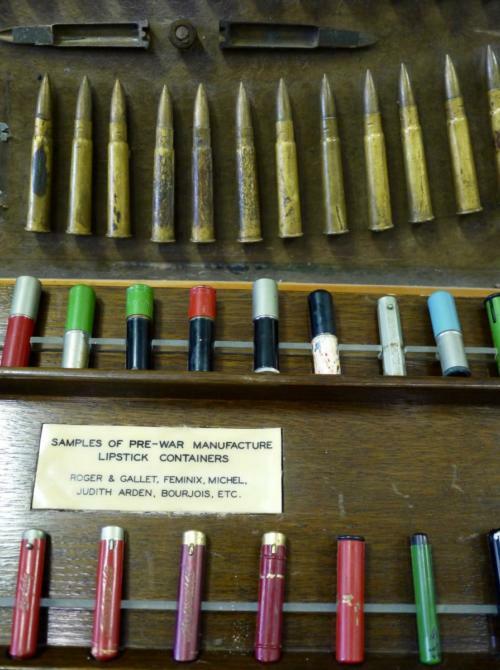 “The product that most resembles a bullet is a lipstick tube,” says Mr Haffenden, who for nearly 20 years has been involved with the museum, serving as director from 1997 to 2007. Andy Calvert, of Working Heritage, which is responsible for conserving Victoria’s heritage places, recalls beginning his apprenticeship in 1974 at the Footscray factory. The technique of producing a brass lipstick container (they did not use plastic back then) and small arms ammunition are remarkably similar. “You start off with a blank [a small disc], and you cup it or turn it into a small cup and then you make a bigger and bigger cup; you make it longer and it gets thinner and thinner and more tube like,” Mr Calvert explains. One of the differences between the cases of a bullet and a lipstick is the need for threading on one of the halves so that when the lipstick is turned, it rises out of the tube to be applied to lips. Part of the 1930s lipstick enterprise is explained by Australians’ widespread expectation of a second great war and the need for factory workers to retain skills. As it happened, the tooling used on bullets worked remarkably well for ‘lippy’ containers. Repurposing existing factories and skills was not just happening in Australia, but also in the UK, according to Madeleine Marsh, the author of The Compacts and Cosmetics: Beauty from Victorian Times to Present Day. “Cosmetic companies made munitions, and machines used for lipstick ended up making bullets,” she says of the mechanical interaction. Ms Marsh thinks the eureka moment began with a UK company called Stratton which was famous for making lipsticks and powders. 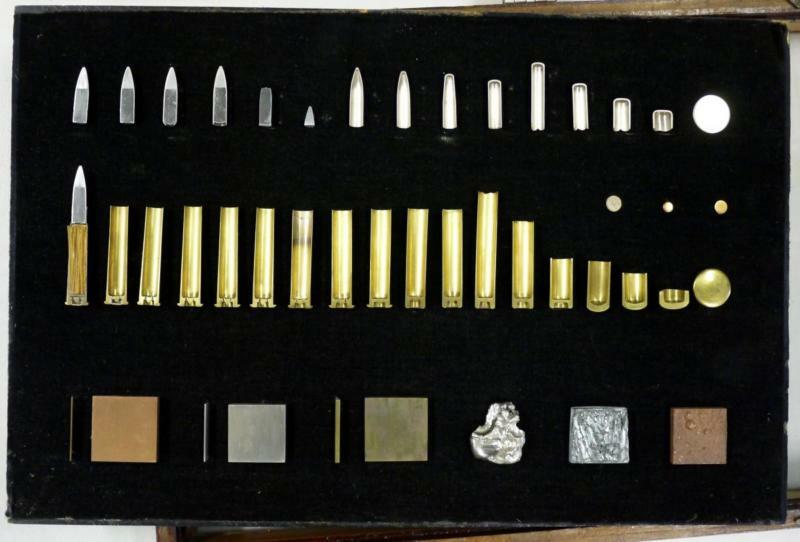 Stratton was pressed into making bullets on the equipment that also produced its lipstick containers. 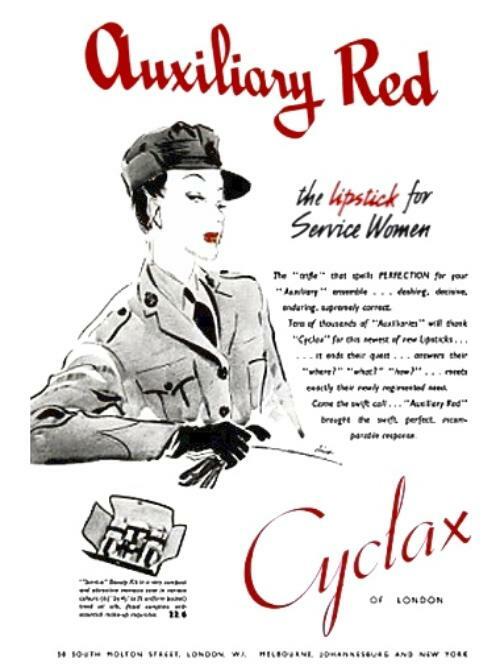 UK company Coty continued to produce makeup during the war, but because of their expertise they expanded the range. “They were also producing army foot powder. They were producing camouflage cream for soldiers, and they were even producing gun powder, because these companies had the technology,” says Ms Marsh. Throughout Europe and the US, cosmetic factories were turned over to the war effort. Ms Marsh tells the story of Revlon founder Charles Revson and his induction into the service of his country. Producing these tubes was labour-intensive. It was a multi-step process of heating and cooling the metal to form one tube. The caps of the containers were made in the same fashion as the bases. The press operators forced the hot, soft metal into the right shape. Ms Marsh adds: “Girls working in armament factories received special supplies of cosmetics, skin cream and powder. They also received lipstick.